The culture of Sao Tome and Principe is, like its people, the mixture of European and African. One unique example is our Tchiloli. The typical plays or performances tchiloli and Auto de Floripes are authentic anachronisms from the colonial culture adapted to modern African environment.Auto de Floripes, which takes place in the month of August (15th and the following Sunday) on the island of Principe, involves the whole population in the dramatic battle between Christians and Moors, with a surprising turn at the end of the story. What concerns music and dance , an influence supposedly from the former Kingdom of Congo, is the Danço Congo, samba imported from Brazil, puita from Cape Verde, socopé, formerly a dance of the Portuguese colonist elite, and others, mainly from the former Portuguese colonies. The bulaué is most likely of Angolan origin. 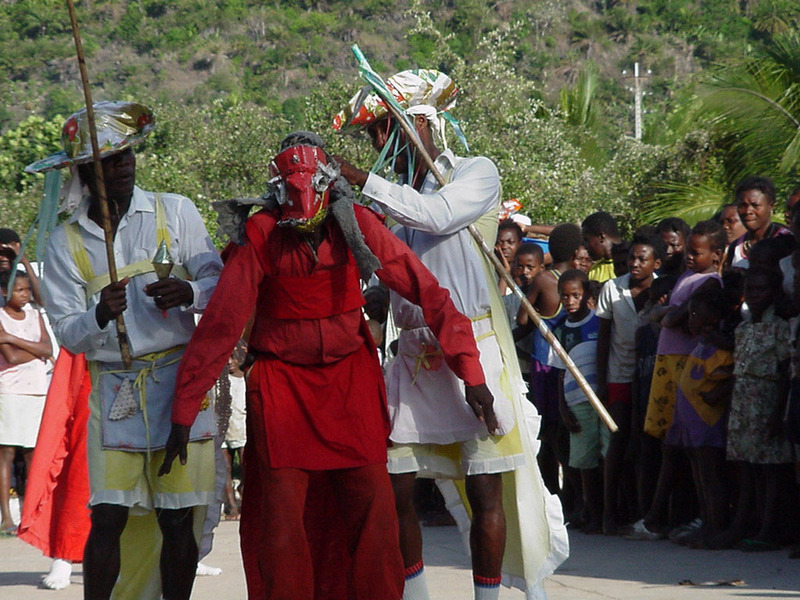 The music as well as dance of STP are continuously receiving a great deal of influence from the other Portuguese speaking areas, namely Cape Verde and Brazil, but there are also acoustic traditional bands like Sangazuza, having the particularity of writing their lyrics in the Creole language of São Tomé. Within arts, the plantation of Sao João dos Angolares as well as the gallery Teia d'Arte, among others, are working to promote sculptures in wood. STP has a very own style of painting, one example being the works of Guilherme de Carvalho, whereas work in materials like seashells, coconut shell and seeds are still in the development stage. In literature, STP has made itself known within the Portuguese speaking area, with writers like Alda de Espírito Santo and Albertino Bragança. The latter dealing with contemporary society in Rosa do Riboque for example. Many places it is also possible to buy souvenirs made of the large sea turtles' shell, but tourists are asked not to support this trade, as the turtles are an endangered species. Gastronomy in STP has a chapter of its own. The traditional stews include often more than 20 different aromatic and medicinal plants, and take many hours to prepare. The typical ingredients in Santomean food are : Fish (fresh, salted, smoked or sun dried) goat, pork (fresh or salted) or chicken. These can be accompanied by beans, rice, bananas (ripe, green, fried, boiled, grilled or mashed), breadfruit and manioc flour among others. Food is traditionally served with palm wine.